Aromatherapy is a family name. The fragrances of nature have given birth to many, many offspring… from life-giving creations to those which are toxic. Sometimes it is difficult to know who’s who. In the field of aromatherapy oils, there are many such siblings. There are many grades of oils such as those suited for massage oils to those used to scent toilet paper. All beings have their value. Here at the EcoVillage, over 600 oils are worked with extensively and of these – two basic types have been found to be of great benefit. First, there are the essential oils which are pure extracts of flowers, herbs, spices and resins. They tend to be very potent, volatile, and to a certain extent medicinal in aroma. Essential oils are best used diluted in some form of carrier oil base. The EcoVillage also works with essence body oils (formulated by generations of essential oil makers) which have been formulated to be worn on the skin. Essence body oils in their pure form, uncut and alcohol free, are long lasting, very fragrant. Some are relaxing, others stimulating and invigorating. All are excellent for aromatherapy use. Aromas evoke feelings… and feelings rule. Observe nature, inquire of the animals as to which of their senses is most important. They will let you know that their sense of smell is most vital. Smells travel deep within. Smells can enhance or debilitate one’s outlook on life. Essence oils are pleasant lingering aromas, some last even for days. 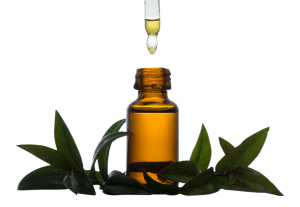 Through experience, it has been noted here at the EcoVillage that pure, undiluted essence body oils evoke pleasant atmospheres which their more potent essential oil siblings simply do not. All beings have their value. Essential oils carry profound therapeutic value along their path of volatile potency. Essence body oils carry lingering aromatic atmospheres along their path of expansiveness.